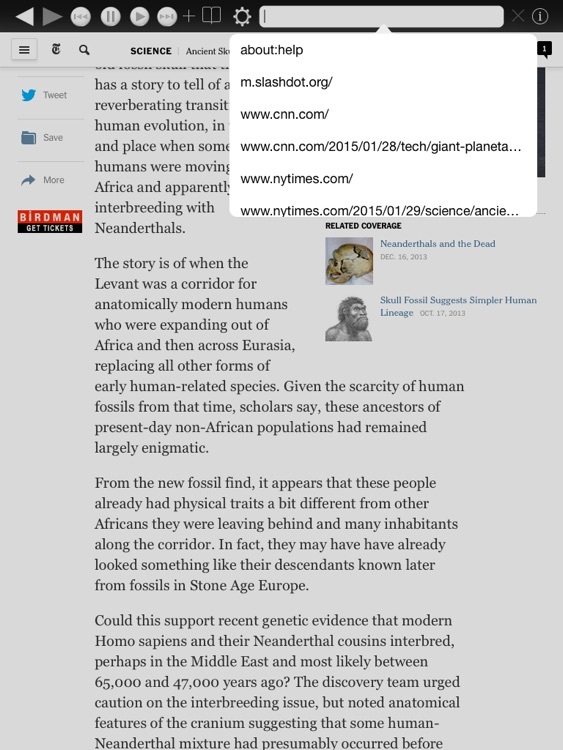 Web Reader HD is a web browser designed to read the web to you. 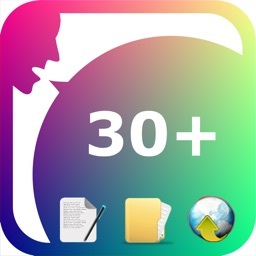 The app is a great alternative to other apps that only work with you inputting text. 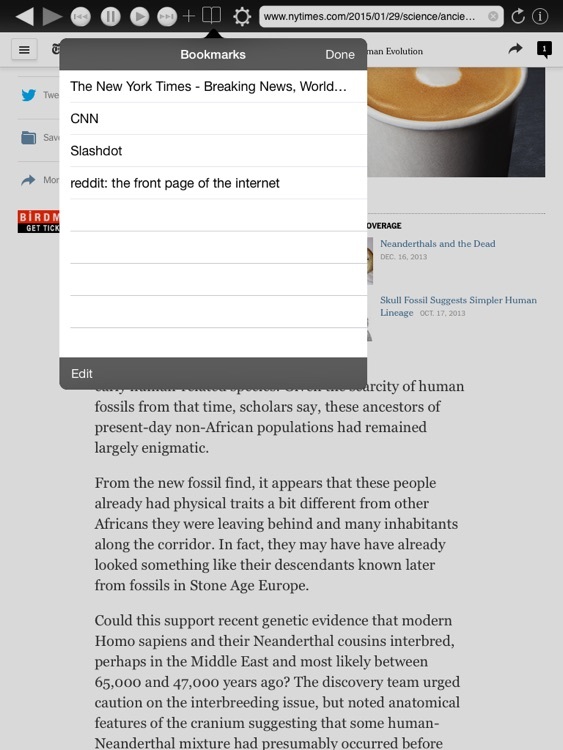 The app allows you to choose where in the web page you want it to start reading. The app can also be configured to start reading once loaded. 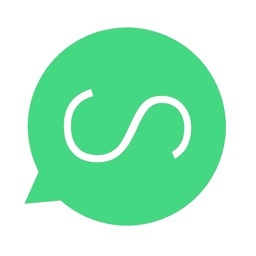 If you are in the market for an app that is only a web browser that reads to you, then this is the app to get. 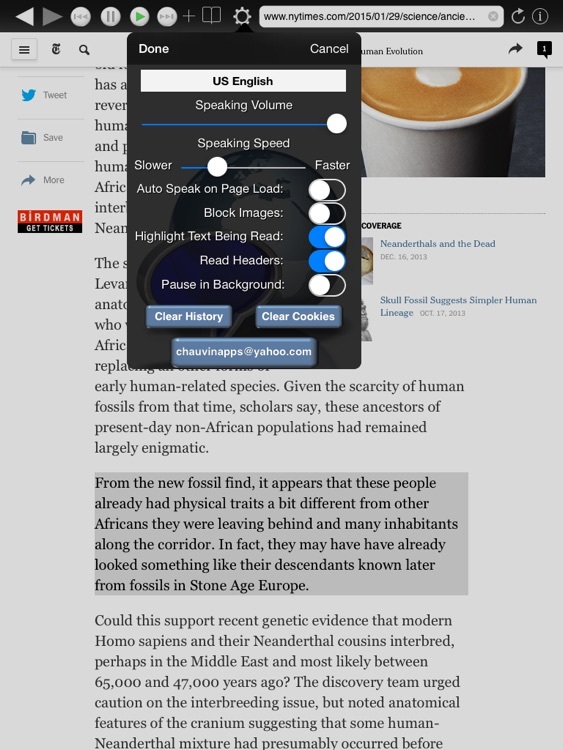 Web Reader HD for iPad uses text to speech technology along with web page content recognition to read web pages to you. You can configure web pages to be read as soon as they are loaded, read pages manually after they are loaded, or use Cut, Copy, & Paste to read only sections of text. Please make sure you are running iPhone OS 7.0 or greater to prevent problems. 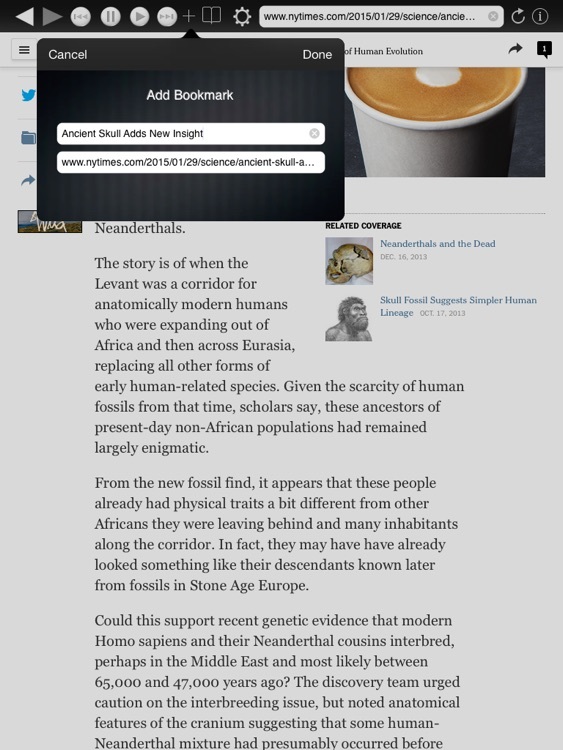 Web Reader HD acts as you're own personal news, book, and content reader. You can adjust the volume and the speed at which web content is read. Web Reader HD attempts to automatically recognize the language of the web page being read and pick the appropriate voice language for you. You can set a default voice for a particular language so that voice is used for that language. Use local sync applications like DropBox to download and read text files, HTML pages, MS Word documents, and PDF files. Note, there is no integration with eBook apps like Kindle. eBooks can be read only if the eBook is available on a Web page such as Project Gutenberg (http://www.gutenberg.org/wiki/Main_Page). - Fast - Web Reader starts reading quickly and can read long and large web page content without breaks. - Reads PDF - Web Reader now reads PDF documents. - Read Locally Synced Filed - When using apps that sync files locally to your device, like DropBox, you can now open those files in Web Reader and have them read to you. File formats supported are: HTML, Text, RTF, Microsoft Word. - Remote Control Support - Using the devices headset or BlueTooth device, Web Reader can now be paused from those device remote controls. On BlueTooth devices supporting skip forward and skip back, Web Reader will skip forward and back by paragraphs when using those controls. - Continues Reading When Backgrounded - With iOS 4 and beyond, if your device supports applications running in the background, Web Reader will continue to read while you use other apps. - Image Block - Load pages faster by turning on image blocking. 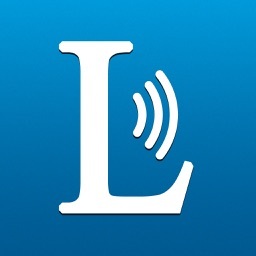 - Multiple Languages - Most languages supported by iOS are supported by Web Reader. Higher quality voices for most languages can be downloaded by going to your iOS settings app and navigating to General -> Accessibility -> Speech -> Voices. 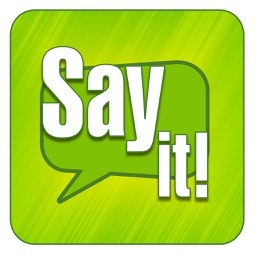 Select the language you want a higher quality voice for and tap Enhanced Quality. NOTE: Arabic and Asian language support is coming soon. 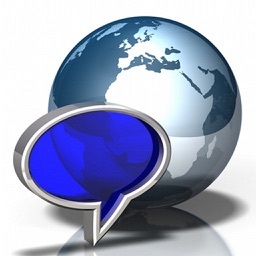 - Voice Volume - Control the volume of the generated voices from the text to speech engine as well as control the overall volume with the device volume controls. - Speaking Speed - Control how fast or slow web pages are read to you. 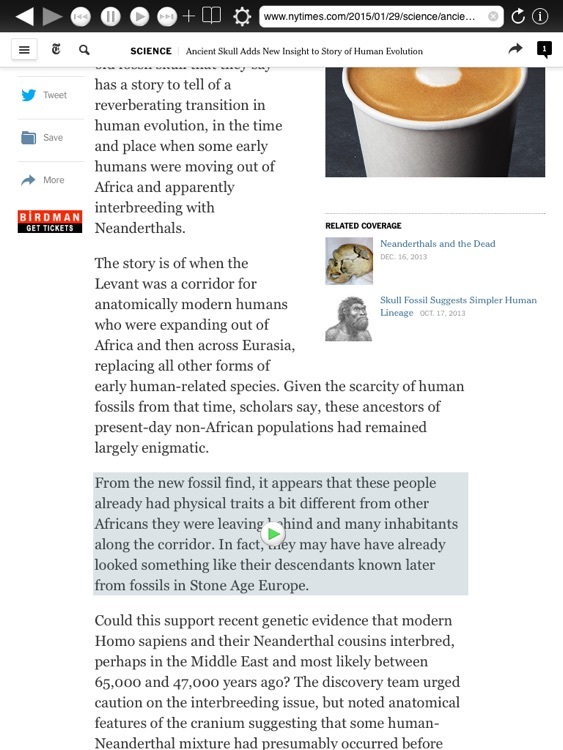 - Start Here - Tap the section of the article or book you want to start reading. Note: when reading PDF files, this is not currently available. When reading PDFs, you are prompted for a page number to start reading. - Highlight While Reading - Highlight the paragraphs and auto scroll the web page to show you what's being read. - Auto-Speak - Configure Web Reader to automatically start reading web page content once a page loads. Going back will not re-read the previous page that was already read. - Launch from Safari - By cutting and pasting a bookmarklet from Web Reader's info page, you can launch Web Reader and have it read the page you are on in Safari. - Reads While Locked - Web Reader will continue to speak even when the device is locked. Languages: Most iOS supported languages. Asian and Arabic are currently not supported. 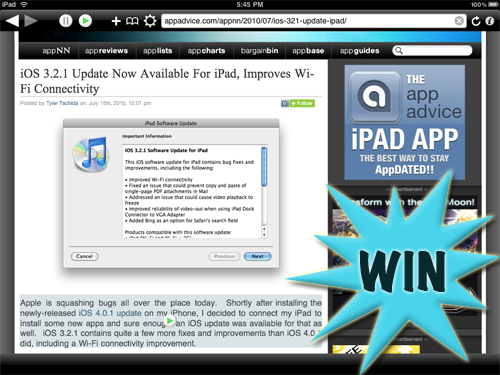 AppAdvice has once again teamed up with Banzai Labs in order to offer you a chance to win one of 10 promo codes for Web Reader HD for iPad ($4.99).